Gov. Greg Abbott has issued a declaration of disaster temporarily suspending size and weight restrictions and oversize/overweight permitting requirements for vehicles and loads associated with activities needed to respond to Hurricane Harvey. Please see the Notice below. Motor carriers operating intrastate commercial motor vehicles on a road or highway in Texas must get a TxDMV number. TxDMV offers multiple customer-focused registration programs to suit your business needs. Whether you have one truck or thousands moving across Texas, we have a program for you. 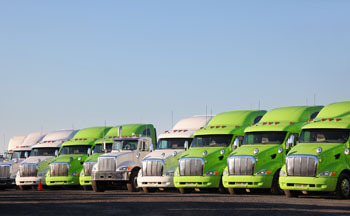 The federal Unified Carrier Registration (UCR) Agreement requires individuals and companies that operate commercial motor vehicles in interstate or international commerce to register their business with TxDMV and pay an annual fee based on the size of their fleet. You must obtain an oversize/overweight permit from TxDMV if your vehicle and/or load exceeds Texas legal size and weight limits. The NAFTA annual permit is legal Texas registration for foreign commercial motor vehicles, trailers, or semitrailers that are not authorized to travel on Texas highways either due to lack of registration or because the country or state where the vehicle is registered does not have a reciprocal agreement with the State of Texas.